A hilarious and charming story of a girl, a high rise, and one very inappropriate pet, from the author of the Mango & Bambang series. Kizzy thought she had dreamed of every possible way she might get a pony. She'd never expected to pick one up from the supermarket. 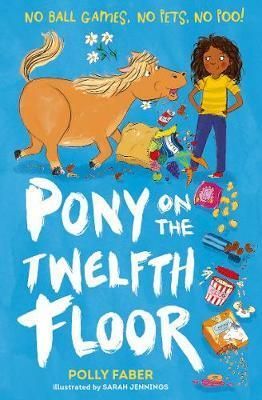 But wherever the plump pony munching on flapjacks in the bakery aisle has come from, Kizzy knows he's everything she's ever wished for: a loyal companion and her ticket to showjumping gold at Olympia. There's just one small problem: how do you keep a pony on the twelfth floor of a high rise without your mum finding out? From Polly Faber, author of the Mango & Bambang series, comes a heartwarming and beautifully illustrated tale about following your dreams - no matter how far-fetched they seem.